Seen at the airport. 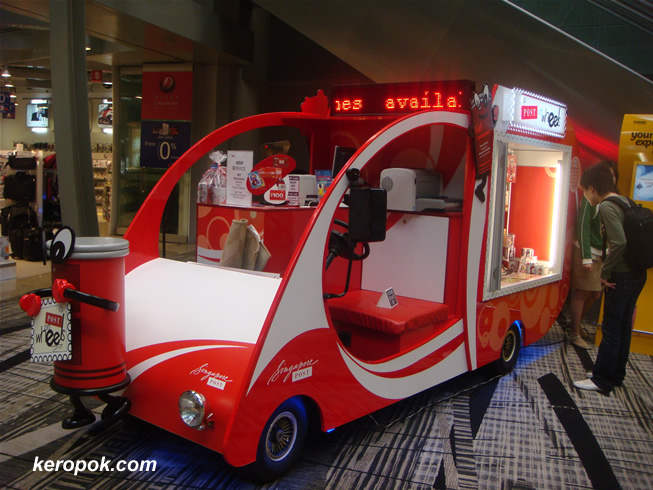 Singpost's merchandise being sold on a cart that's so 'cute'. Post on Wheels. A potential customer looks so interested!